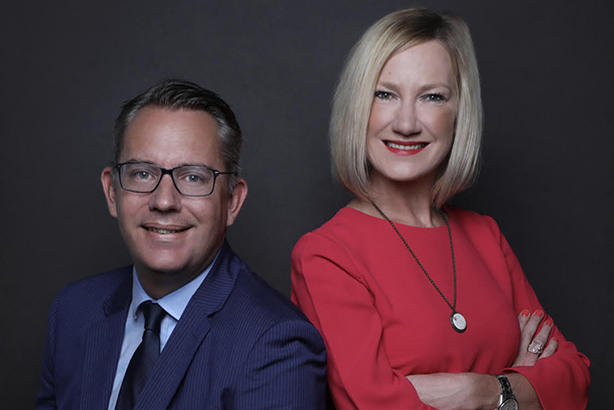 PR duo Teri O'Donnell and Robin Gordon-Farleigh have joined forces to launch the new UAE-headquartered Manara Global, which will focus on reputation management, purpose and communications across the MENA region. O’Donnell and Gordon-Farleigh previously worked together at Edelman Middle East. O’Donnell, a reputation management specialist who has advised founders and boards for some of the world’s biggest and most established brands, recently left the firm after spending the past year there as MD. This followed a lengthy stint at renowned public relations firm Freuds in London, where she was a partner. Gordon-Farleigh left Edelman last year after a stint as regional director of government strategies. He has since overseen communications for the Office of HRH Princess Haya Bint Al Hussein, having previously served as a senior communications strategist in the UK Prime Minister's Office where he advised David Cameron and Theresa May. "We believe it is an exciting opportunity to breakdown siloed working practices, provide greater creativity and joined up thinking to business and societal challenges and problem-solving. And we want to inspire and be inspired whilst doing it," O’Donnell said. "The power of our partnership is the convergent and creative thought we bring to the table – global inspiration with local understanding, always driven by insight. We start from different places but end with a plan and a unified focal point. We believe the results are stronger for it." Gordon-Farleigh told PRWeek Middle East what sets Manara Global apart from other PR shops in the region is "our unique level of experience that we both combine and bring to Manara Global""
He added: "We have 50 years of experience of working in government and advising boards and founders of some of the top businesses around the world. This convergence of top-level experience enables us to offer real in-depth counsel, infused with creative thinking, and the convergence of ideas with people to make a real difference. As part of our key offering is a purpose and soft power – we bring extensive experience in this area which is unmatched within the region." Gordon-Farleigh said the UAE was the obvious choice as a launchpad for the new business. "For starters, we both love living and working in the UAE with its exciting and inspiring agenda," he said. "It is a country that is rightly proud of what it has already achieved in a relatively short amount of time and its ambition is infectious. "A country with a clearly mapped out blueprint for its future underpinned with a clear vision and eager to be amongst the best in the world across a range of sectors. "There is still a significant focus here on media relations tactics, which absolutely have their place, and yet with the right strategic approach, you can achieve great results that really resonate with audiences and contribute to the business agenda. "It is also a market that is open to working with boutiques just as much as the big players – it is the experience, ideas and creativity that is important to clients here."